On the heels of a meeting about climate change with Pope Francis last month, John Browne, Executive Chairman of L1 Energy and board member of the Julie Ann Wrigley Global Institute of Sustainability at Arizona State University, penned an op-ed for Bloomberg Opinion. Browne’s editorial focuses on the great energy shift that needs to happen, with oil and gas companies adapting to be a positive part of the energy transition rather than victims of it. As a former chief executive of BP, Browne made waves in the late ‘90s when he voiced his concern about climate change and stated that oil and gas companies have a responsibility to take action. 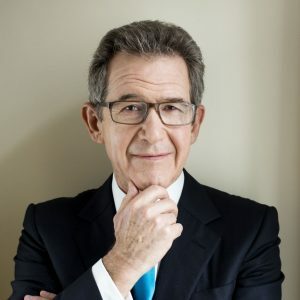 Today, Lord Browne of Madingley remains a vocal proponent of shifting energy sources and consumption without harming the world’s poorest people. He believes society already has the tools to do just that. Read the entire op-ed on Bloomberg Opinion.